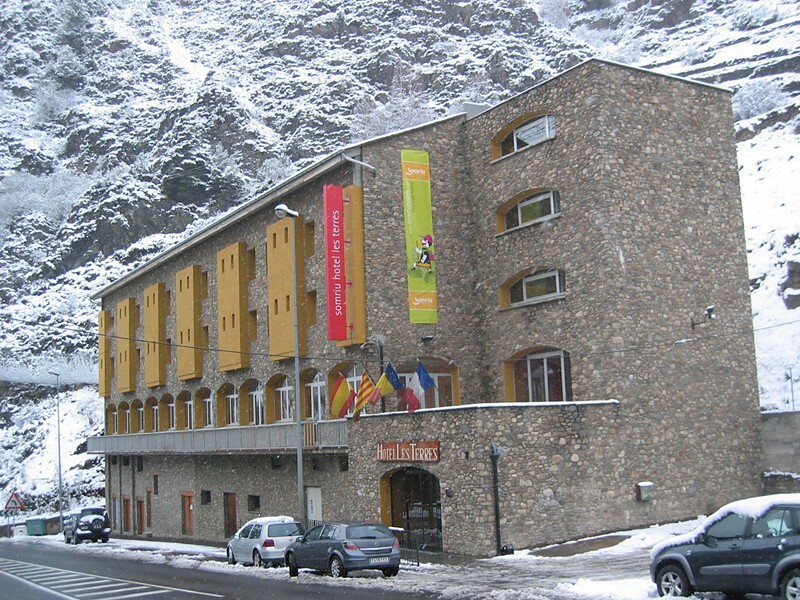 Situated in Aldosa De Canillo, the Les Terres Hotel is ideally placed 2 kilometres from Soldeu El Tarter. The hotel offers 54 bright and spacious rooms that are equipped with modern amenties to make you feel comfortable. Guests can taste the delicious buffet breakfast served at the restaurant while scrumptious food is offered for dinner. Location Situated in Aldosa De Canillo, the Les Terres Hotel is ideally placed 2 kilometres from Soldeu El Tarter. Rooms The hotel offers 54 bright and spacious rooms that are equipped with modern amenties to make you feel comfortable. Restaurant Guests can taste the delicious buffet breakfast served at the restaurant while scrumptious food is offered for dinner.